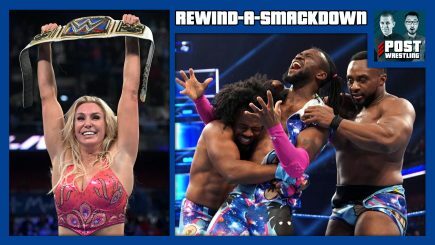 Tuesday’s episode features a Tag Team Gauntlet match involving Big E. and Xavier Woods running the table for Kofi Kingston’s last chance to face Daniel Bryan at WrestleMania, Asuka defended the SmackDown women’s title against Charlotte Flair causing changes to the WrestleMania card, a stipulation has been added to Shane McMahon’s match with The Miz, and more on a busy edition of the program. 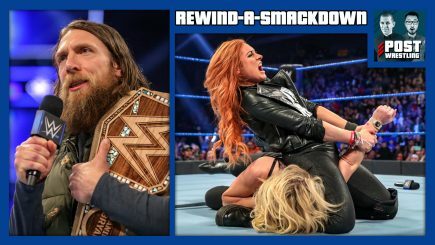 Days before he faces Daniel Bryan at Fastlane, Kevin Owens faces Rowan as a returning Mustafa Ali helps even the odds, Charlotte calls Becky Lynch out, R-Truth issues a US Title Open Challenge answered by Samoa Joe, Rey Mysterio and Andrade. 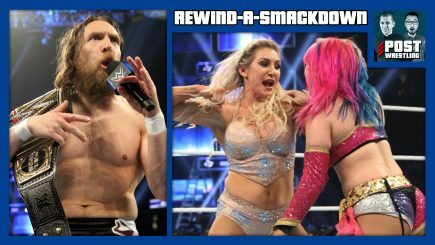 Plus, health updates on Tommaso Ciampa, Asuka, and Joey Janela. 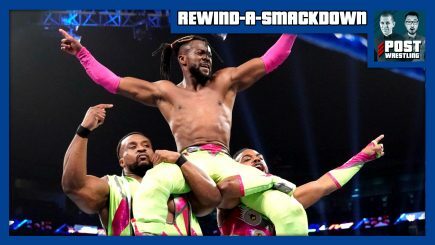 Tuesday’s episode of SmackDown featured the announcement by Vince McMahon that Kofi Kingston would not be challenging Daniel Bryan for the WWE title at Fastlane, Kevin Owens is back, Matt Hardy reunited with his brother as The Hardys took on The Bar, Charlotte Flair is coming to Raw, R-Truth resurrects the U.S. title Open Challenge and lots more on a busy episode. 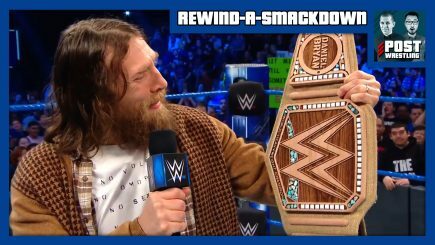 Tuesday’s episode of SmackDown featured the announcement of Daniel Bryan’s next title challenger at Fastlane along with a six-man tag involving the members of Sunday’s Elimination Chamber match. 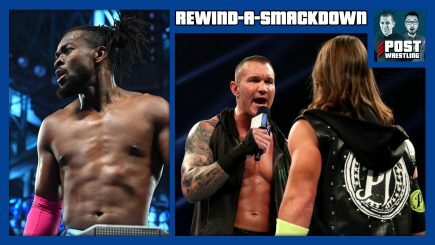 The final SmackDown before the Elimination Chamber featured a Gauntlet match taking up the final 70 minutes the show, Mustafa Ali’s replacement is announced. 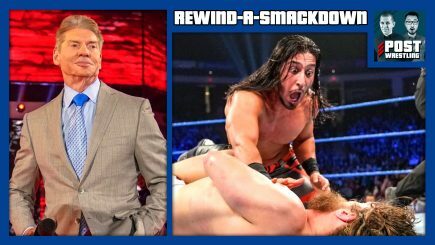 We also discuss the passing of Pedro Morales. 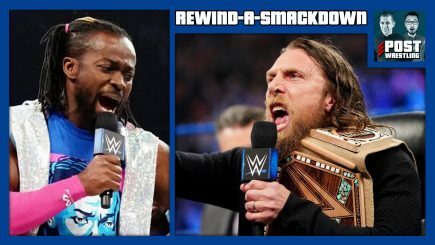 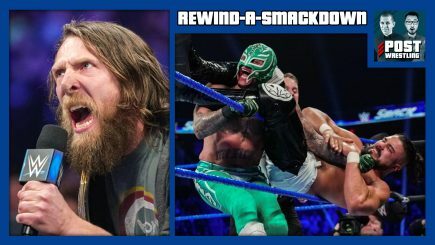 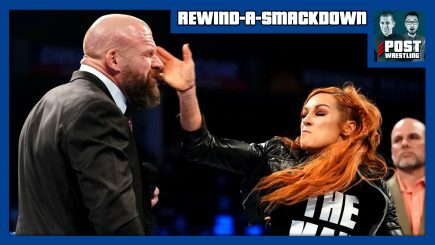 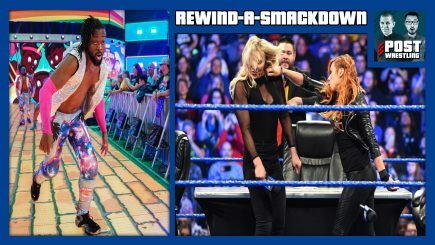 John Pollock and Wai Ting review WWE SmackDown as Becky Lynch and Triple H engage in a heated confrontation, Daniel Bryan took on Jeff Hardy in a non-title match, WWE returns to Saudi Arabia, roster injury updates and more. 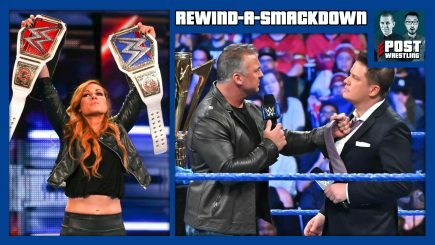 John Pollock and Wai Ting review WWE SmackDown from Birmingham, Alabama featuring a Birthday Bash for Shane McMahon, a huge debate about the Jimmy Uso hotel segment with Mandy Rose, more cameos from the NXT call-ups, and a great television match between Rey Mysterio and Andrade, just Andrade. 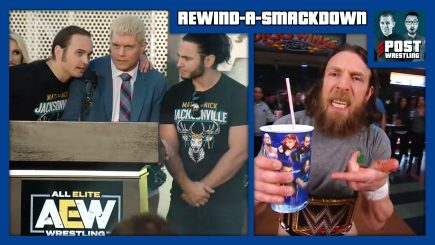 John Pollock and Wai Ting review SmackDown and discuss all the news from the All Elite Wrestling rally, both taking place in Jacksonville, FL. 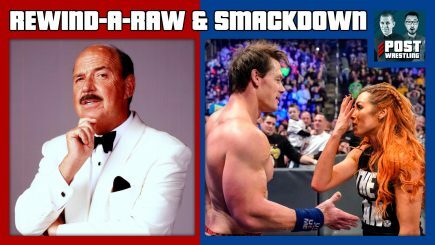 We’ll also be joined by Graham, a fan who was turned away from attending SmackDown for wearing an AEW t-shirt. 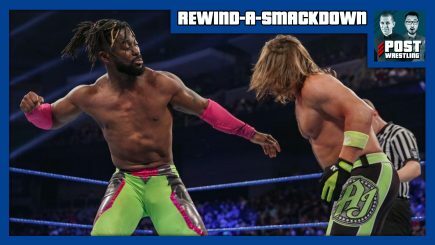 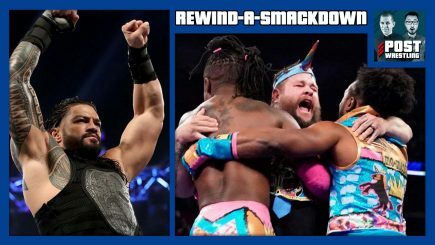 John Pollock and Wai Ting review SmackDown from Fresno with Paige removed as General Manager, Daniel Bryan and Andrade Cien Almas vs. AJ Styles and Mustafa Ali, and more. 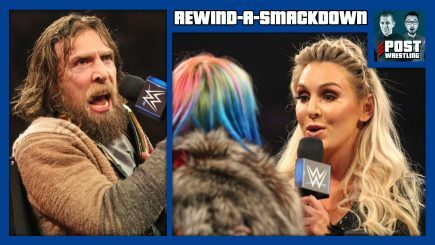 SmackDown took place from Austin, Texas with the “new” Daniel Bryan explaining his disdain for polluters and socially unconscionable fans, the TLC contract signing went down involving Becky Lynch, Charlotte Flair, and Asuka. 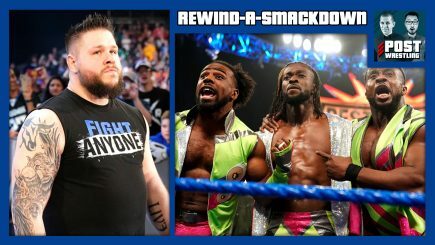 Plus: Samoa Joe rented out a bar, Shane McMahon is taking the Survivor Series loss remarkably well, and AJ Styles took on The Miz in the main event.